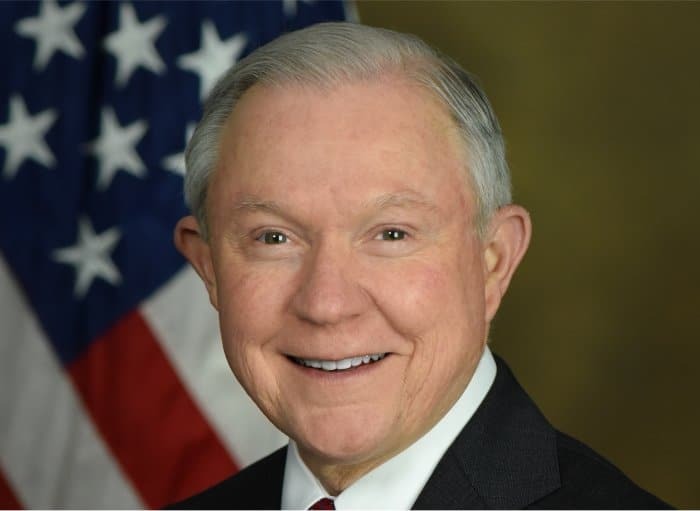 It’s been revealed US Attorney General Jeff Sessions has written to a number of lawmakers, seeking to end protection of legal state medical cannabis programs. In early May, SEC. 537 of the fiscal year 2017 Omnibus Appropriations bill was signed into law by President Trump. It extended legislation preventing the Department of Justice interfering with U.S States or Territories’ medicinal marijuana laws. However, President made some cryptic comments in relation to it and other issues arose that called into question how much protection what’s known as the Rohrabacher-Farr amendment will provide. Even with what protection it offers, that will end on September 30 unless it is again extended. It seems Attorney General Sessions has already been busy seeking the Rohrabacher-Farr amendment to not be renewed, confirming the fears of some in the medical cannabis industry that were raised back when Donald Trump picked then Senator Sessions for the appointment as Attorney General. In a letter (see below) to a number of lawmakers dated May 1, first reported on MassRoots, AG Sessions said he believes it “unwise for Congress to restrict the discretion of the Department to fund particular prosecutions”. Attorney General Sessions also replayed the old furphy that marijuana has no currently accepted medical use in treatment in the United States; one of the factors that saw it wind up as designated Schedule 1 under the Controlled Substances Act. Things have certainly changed on that front and many states, doctors and patients would beg to differ on that opinion. As he has done in the past, the AG also raised the spectres of physical and mental health issues connected with cannabis, claims that have already been well and truly debunked in relation to the use of cannabis in a controlled medical context. Now that Attorney General Sessions’ communication has come to light, there will no doubt be a significant amount of protest and lobbying in opposition to its contents. Given Sessions’ attitudes and President Trump’s somewhat ambivalent stance, whether medical cannabis is the genie that won’t be able to put back into the bottle remains to be seen.